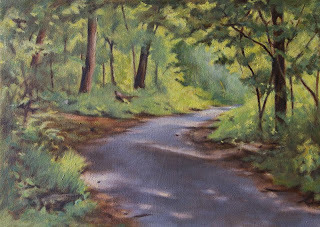 I'm currently applying the final touches to this painting-a walk-through the woods-themed landscape. Believe it or not, this picture was done in the middle of New York City, in one of the more "remote" parts of Central Park. 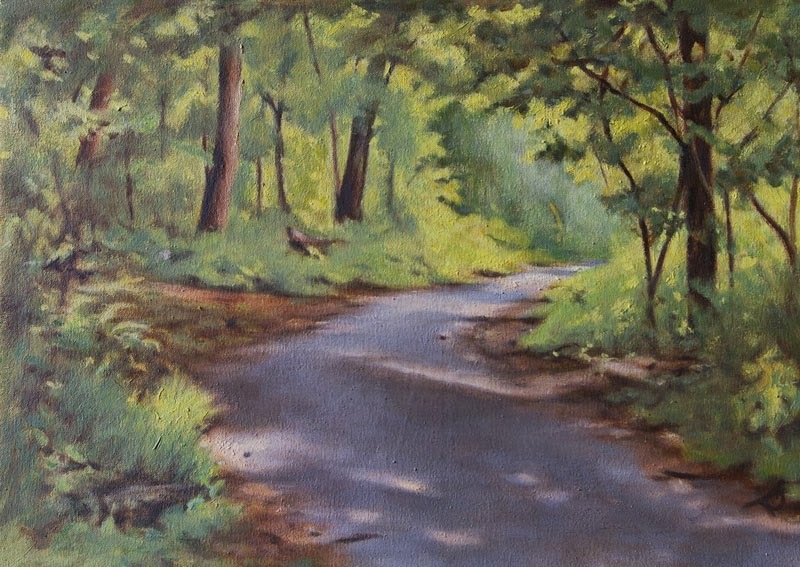 What originally caught my eye about this scene, was the flow of light and shadow along the path. The tension created between these two contrasts if represented correctly, should create a scene of drama and mystery. My goal for this picture was to better represent dramatic lighting than I have in the past. This picture will require a little more work.